The moment of truth for Kaunas accelerator startup teams! After 8 weeks of polishing their business plans, 11 tech startups will pitch to investors and compete for the seat at the negotiation table. Up to 3 startups will get invitations to the Bootcamp of prestigious Startup Wise Guys accelerator for the upcoming Vilnius program. 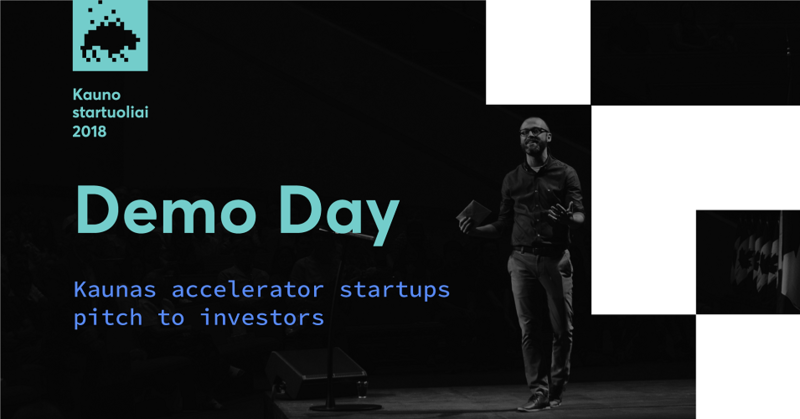 A selected startup will also receive a Consulting Voucher from a leading independent management consultancy Civitta for 30 hours of chosen services. Event is free but seats are limited, please register via Eventbrite. The event will take place in the Bosca Amphitheatre in Žalgirio arena.